Italy. Northern Apulia, Salapia. AE 16 mm. Circa 225-210 BC. Obv. 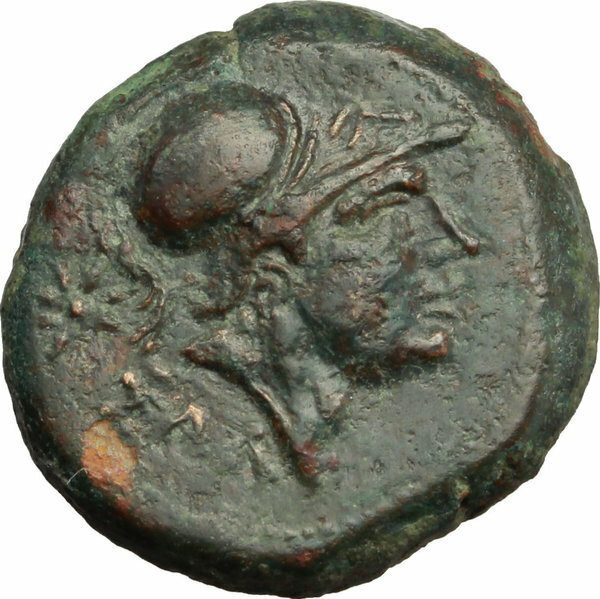 Head of Athena right, wearing crested Corinthian helmet; to left, star; below neck, ΣΑΛ. Rev. 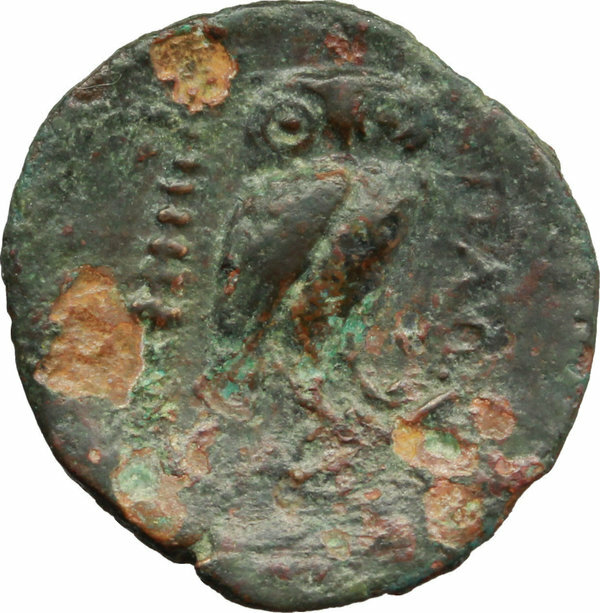 Owl standing right, head facing; to left, club; to right, magistrate name ΠΛΩΤΙΟΥ. Unpublished in the standard references. ΑΕ. g. 3.25 RRRRR. The third specimen known, cf. 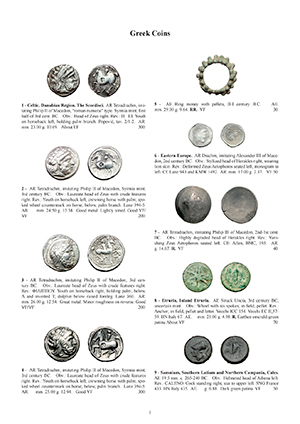 CNG 327, Lot: 123 and Artemide Aste, A Collection of Greek Coins, 22 October 2016, lot. 25. Good VF.